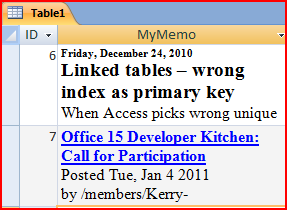 In Access 2007 and 2010 you can set Memo field property Text format to Rich Text and start entering formatted text there. But if you export that table to Word RTF file – you lost all formatting. 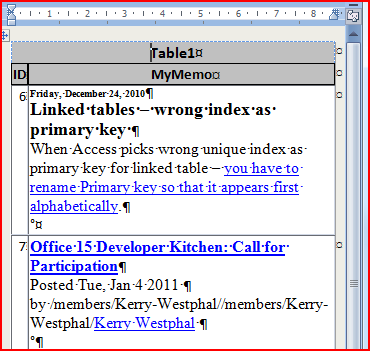 In order to keep formatting – make an export to HTML Document, and then you can open it in Word, and perhaps save as RTF.